The most important thing to you right now is to get rid of your forearm pain. I know. I am here to help. You want something that works fast, is safe and is effective. I have figured out a way to deliver all this with a brand new, easy to learn and super effective way to eliminate the adhesions that are causing your pain. And now I have put it all together in one program that costs about half what it would cost to have a single personal appointment with me, or any other trained therapist. The Forearm Pain Self Care Toolkit focuses on all the areas of your forearms that you know are a problem, as well as all those hidden spots that can cause pain to come back time and time again. You'll come away understanding your injury in a way that is totally unique and different from anything else out there. You'll know what to do and how to do it so that forearm pain becomes a thing of the past. It really works! "My friend from work signed up for your course this weekend...and he says that even after only 3 days, his pain is much diminished. I laughed and repeated what I told him earlier, 'It will be the best money you have ever spent.'" ”I am so incredibly pleased with your product and I wish everyone in the world having problems similar to mine could get the relief that I did from your stretches. You are giving your programs away! If I had an injury in another area and needed another of your Toolkits I would pay $500 for it! In my opinion that's at least how much it would save me in massages, physical therapy copays, lost work time, aggravation, etc. I got such immediate and immense relief I felt like crying because I had *finally found something that worked*. I could envision my life without pain again." ”After trying a great number of alternative therapies for RSI, Sharon Butler's stretching program was by far the most helpful to me. Within a few weeks my typing capacity expanded threefold with much less pain. Over time I have reached a point where I feel well most of the time and don't even think about RSI much. Her theory that RSI originates in adhesions of the fascia has corresponded well with my own personal experience." ”Sharon, your program has not only helped me physically but has educated me as well in the process. And isn't it funny how having an RSI can also lead one to make changes that deep down we always wanted to make, but never would have unless forced to--like slowing down to enjoy life a little. You know what I mean? Guess that is 'the good' that comes with the bad." What Makes The Forearm Pain Self Care Toolkit Your Most Essential Resource? This 64 page e-book contains 20 of the best, most targeted stretches for the parts of your body that are affected by forearm pain. Each exercise is fully illustrated, with complete instructions. You will know what to do, how long to do it and when to move on to another exercise in the program. It's all spelled out for you! You'll get complete instruction in the Butler Method of Rapid Fascia Release. This brand new technique is easy to learn and master, gives you the fastest and safest possible results so that Forearm Pain becomes a thing of the past. All support information is included for your ultimate success. "I listened to your first audio - candidly, it was brilliant - extremely educational and it alone is worth the cost of the Toolkit bundle. I look forward to reading the book and listening to the balance of the audios. Now, as a heavy coffee drinker who doesn't drink a lot of water - I know where to start." With over 30 years of studying repetitive strain injuries, I've built up a body of knowledge about healing and recovery that is quite uncommon... a treasure chest of simple, easy to understand, logical information that makes recovery easier. Knowing this "insider" information is like having the final piece of the puzzle - the master file on how to recover from forearm pain. How a special breathing technique can help find hidden sources of pain and help you let them go. How to deal with scar tissue. How surgery or deep wounds could change the course of the recovery process and what to do about it. How to understand the "language" of your pain and what it is trying to tell you. How to recognize and release unconscious holding patterns. How to create new exercises and stretches that match the exact needs of your body. How to enjoy a recovery that truly lasts. When you are recovering from an injury using stretches, it's critical that you feel what's happening in your body so you can make adjustments. But most of us do not spend a great deal of time focusing on the sensations from our bodies. We are too busy doing other things. By special arrangement with the author, we have added the "Welcome to Earth: Scanning Your Body" Meditation Audio to the Forearm Pain Self Care Toolkit. This 19 Minute Audio will guide you on a relaxing journey through your body, helping you to become more aware of sensations. These sensations are the body's way of telling you what's working and what's not working. You will feel refreshed, de-stressed and more in touch with your body than ever before. And the skills you learn from this meditation will significantly enhance the results you get from all your stretching efforts. Purchase a copy of the Self Care Toolkit. Open it, try it, test it, feel what it does for your body. Kick the tires on it for a full 60 days. If at the end of that time you are not happy with the results you have achieved, let me know and I will gladly refund your full purchase price, NO questions asked. You have nothing to lose! Where Will You Be In The Coming Weeks? Will you still be drowning in the details of cobbling together a recovery program from pieces and "experts" you find here and there? Will you still be spending hours at appointments, loads of money on an endless list of remedies, taking time off work because your arms hurt? Or, will you be back in your life, doing the things that you love, making your living with peace of mind? 64 Page Forearm Pain Self Care Program E-Book, available for immediate download. Do You Need Additional Support? Not everyone feels secure about mastering a program like this on their own. Looking for additional help and guidance may be the most helpful thing you can do for yourself and your recovery. Check out the various options for personalized help and guidance that I offer to my clients. Click here. IMPORTANT! Immediately after purchase, you will be sent an email containing the current password and the download links for your purchase. 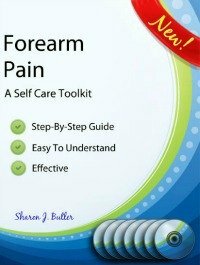 I hope you enjoy great success using the Forearm Pain Self Care Toolkit! Golfers Elbow (Medial Epicondylitis) symptoms include pain at the medial epicondyle when the fingersw are closed, the wrist bent palmward, or pressure is put on the forearm near the elbow. DeQuervains Syndrome is an arthritis-like pain in the thumb, with pain extending through the wrist and forearm when the thumb is moved. Information on symptoms, self care and anatomy. Tennis Elbow (Lateral Epicondylitis) anatomy is most affected by the extensor muscles and rotator muscles found in the forearm. 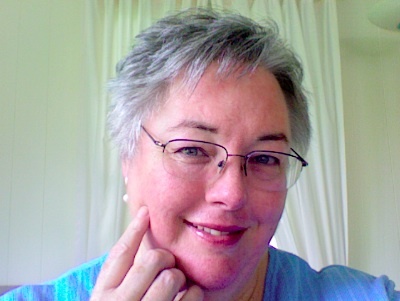 Sharon Butler has been a Practitioner of Hellerwork Structural Integration for 32 years and has specialized in helping people recover from Repetitive Strain Injuries of the upper body since 1991. She is the author of the best selling book, “Conquering Carpal Tunnel Syndrome and Other Repetitive Strain Injuries: A Self Care Program” along with 7 comprehensive specialized programs for the Self Care of RSI’s. Copyright © 2005 - 2018 by Sharon Butler Selfcare4RSI.com All Rights Reserved.